The Eastern Flyer commuter passenger train becomes the Eastern Flyer Polar Express, which begins boarding for the “North Pole” on Friday, Nov. 21. Inspired by the classic children’s book The Polar Express and a film adaptation of the same name, the holiday attraction boards from the Bristow Historic Museum, a restored train depot in the Creek County town. 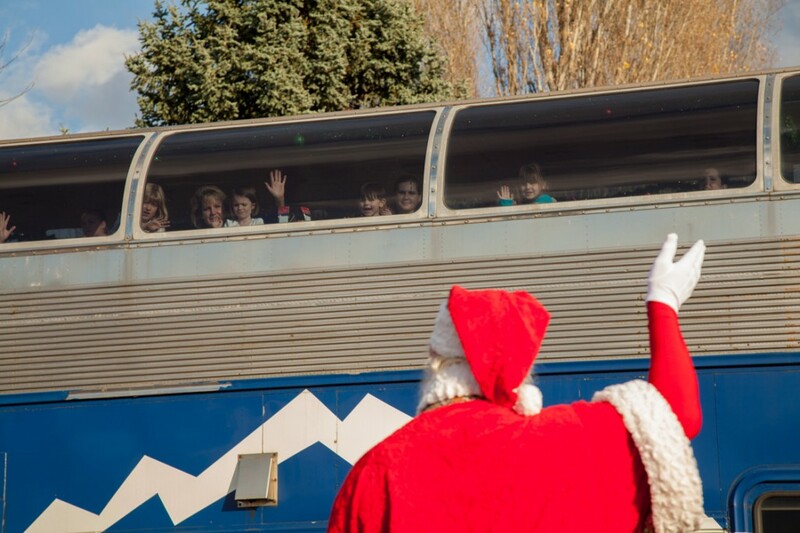 As in the story, children enjoy a ride in the pajamas aboard a train filled with singing staff, elves and activities. When the train arrives at its destination, Santa will be there to greet families. The Polar Express will continue most nights through Dec. 28 with afternoon and evening departure times. Excursions are about one hour round-trip, and tickets start at $25 for ages 2-12 years and $35 for adults. Visit www.easternflyerpolarexpressride.com for a detailed schedule, availability and advanced ticket purchases (which are recommended).